Mild temperature, hilly run in my neighborhood, from Mount Doom to Sunrise Fountain. The "Return from Paradise Half Marathon" (as my Bloggy running buddy Sara aka Rookie on the Run called it) started as a 12 miler. The 12 miler that I did not do in Hawaii because I was doting on hubby who was recovering from a boogie boarding accident. I was TIRED from traveling the day before, staying up late, unpacking, dishes, laundry and playing with the boys.. 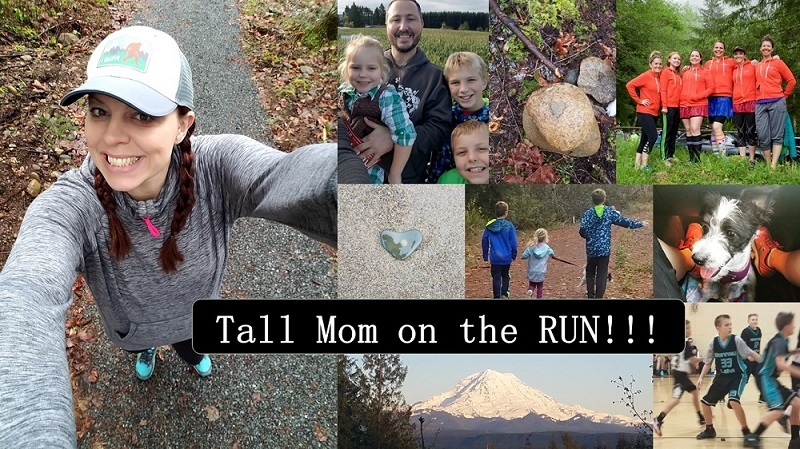 I had taken the day off from work to recover, relax and reconnect with my boys after vacation…LOL…how does a runner relax? I hugged my little guy and started out the door, he cried as I left, he missed me a whole lot and wanted to be held all day. The loving attention was WONDERFUL, but there was no way I was going to push his little 30 pound self around on my run. -Started with Mount Doom, which is getting easier, especially when I do it at the beginning of my run. -My cotton Run Girl t-shirt was a little hot, cotton really does not breathe well...it is cute but I doubt I will be able to wear it to run as the temps rise. -I HATE stopping to cars, cross-walks, etc.. This run had a few major road crossings so I will probably not repeat it. Messes with my pace and just BUGS me!! -My Ipod was in full force with Jordan Sparks and my other American Idol buddies, yes I am that COOL!! My new Skulcandy headphones were GREAT...totally recommend them. -When Womanizer came on I imagined Brittany Spears trying to run a half marathon in full makeup, big hair and a short skirt…the image made me chuckle. -I love the smell of grass, but not when I am running, it is not as bad as cigarette smoke, but it is VERY hard to breathe for me. -The Scotch broom is about to bloom, I am allergic, UMMMM YUCK!! I am not looking forward to the results of a long run near the yellow bushes. -When I was approaching my half way turn around point I decided to go a bit further and make it a full 13.1. I don't like to turn around at random spots, I am weird like that.. So since I was not to the pretty fountain in the "Sunrise" neighborhood I decided to keep going..
-My knee twinged a little and my arch on my left foot hurt a bit, but all in all I felt great body wise.. I never felt out of breath or overly fatigued. -I had a few energy jelly beans before I went, love those!! -My time was a bit slower than I hoped (wanted 1:50 flat to be on Boston pace), I am guessing in a race with no stopping for cars and the added adrenalin will get me there. -REALIZATION: Pretty sure that I am going to change my registration from a 1/2 to a full in June… The final decision will be made this weekend. My body is responding so well to the training thus far that this goal seems reachable.. Hard to believe that I have now run the distance of a half marathon!!! i bet the little man was so happy to have you home! I cannot stand holding a bottle either while running, love my fuelbelt.. and it doesn't bounce either, which is something else that annoyed me. Great work speedy :) I have a fuel belt and I like it. I like it because I can carry sports drinks in some bottles and water in others. You rock. That's all there is to it! You can SO do a full marathon... of that I have no doubt. It is so sweet to be loved and missed by our little men, isn't it? I laughed about you running past the high schoolers... because you can. Good times! I have a Nathan fuel belt. I like it as much as I can like anything hanging off my hips (or waist, depending on how bloated I feel). I really, really like not dying of dehydration. Awesome report. Sounds like you could definitely do the full to me. great job on the race, very speedy indeed....lol at the american idol comment...great pic of you and your son..
Great run and at such an awesome pace too!! I love the jelly beans too for my long runs! I have a fuel belt to carry the jelly beans in but not one for water. They are tricky and always seem to ride up on my stomach. Congrats!! That's a fantastic time, I hope to be able to run a half marathon that fast someday. I think if you're feeling good you should totally go for the full marathon, no time like the present. If you're already at 13.1 and your race isn't until June, I think you're in pretty good shape. What do you get for $59.58? So fun to Play, More fun to WIN!! Monday- You Know you are a Runner when..